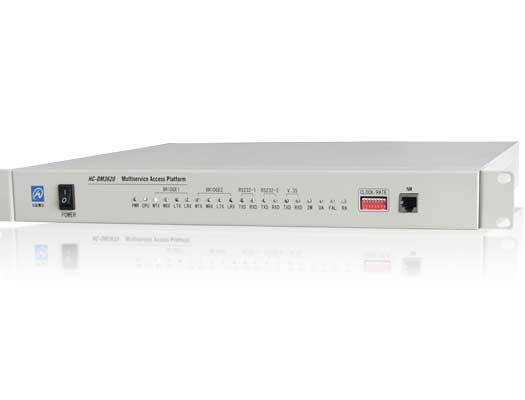 HC-DM3620 provides full solution for non-blocking cross-connect and multiplexing, it offers 2 x Asynchronous serial port + 1 x V.35/V.24 + 2 x LAN+8 x Voice channels access over fiber or E1 (fiber or cable). Its merits include easy installation and debugging, reliable and steady performance, low power dissipation and high integration. It can be configured by CLI through NM port on the front-panel from the local PC. It also can be managed through In-band ECC channel by HCView NM software from remote PC.